Sassafras aside we have super exciting news! Zak and Pilgrim from Stone Axe Herbals are visiting for the summer. 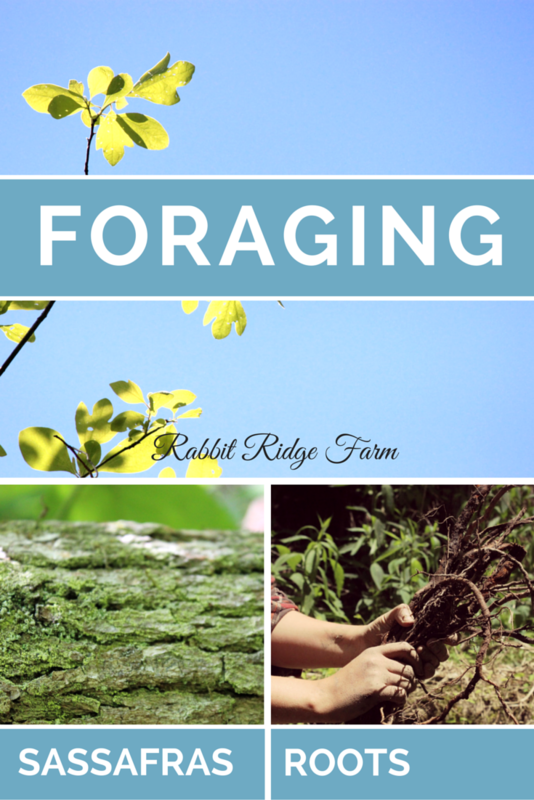 We’re all super excited to spend the summer foraging, farming, cooking, wildcrafting, and building. Now onto the goods. You may have heard of Sassafras before as a traditional ingredient in root beer. Did you know that you can gather it yourself though? Sassafras or Sassafras albidum is an amazing tree that happens to be native to North America. It has historically had a variety of uses. Many Native American groups as well as Europeans used it for medicine. Europeans even claimed it cured Syphilis. Other medicinal uses have included reducing fevers, relieving inflammation, and helping to ease menstruation and childbirth symptoms. Sassafras has also long been used in making traditional root beer, sassafras tea, and has tasty edible leaves. So what’s wrong with Sassafras? Despite all these good things you’ll notice I said it was used in “traditional” root beer and “historically.” In 1960 the FDA banned the commercial use of Sassafras after a study found that rats and mice injected with large amounts of safrole (a compound present in sassafras) exhibited symptoms including nervousness, confusion, trouble-walking, and poor body temperature regulation. Those who were exposed for long periods sometimes developed liver cancer. Sounds terrifying doesn’t it? Personally I’m with our ancestors on this one and for a variety of reasons. First off safrole is found in many common spices including black pepper, nutmeg, and basil. Secondly drinking a little tea or root beer is nothing like injecting yourself with straight safrole. Lastly Sassafras has been for the most part been replaced with artificial flavors. If we injected mice with a bunch of artificial flavoring I bet they would get sick too. Anyway that’s just my rant. I’m not a doctor or an expert. As always use caution and make informed decisions with any wild food. Want to find some Sassafras? Sassafras has a range from Southern Ontario south to Central Florida and west to East Texas, though I will tell you I have never seen it in New Hampshire or Vermont but there’s a lot of it here in West Virginia! It prefers moist, sandy, upland soils and often grows in old fields. Can you spot all three leaf types? Sassafras is actually pretty simple to identify. It’s leaves are rather distinct in the forest canopy. Sassafras has three types of leaves, a simple smooth oval-shaped leaf, a two lobed leaf that looks a bit like a mitten, and a three lobe leaf sometimes referred to as a “Spock leaf” for it’s resemblance to a Star Trek Vulcan salute. All three leaves have a bright, green and often shiny top side and a paler sometimes hairy underside. The tree’s bark is light colored and deeply furrowed, especially on older trees. The ultimate tell tale sign you have the right tree is the scent. If you break a twig or root there will be a powerful licorice/root beer aroma. You might want to keep some around just as an air freshener. I always recommend bringing a field guide when foraging. My personal favorite is Audubon Society Field Guide to North American Trees: Eastern Region but there are many available. Once you’ve located some Sassafras you’re ready to harvest. If you’re after the leaves you’ll obviously need to collect them in the between spring, summer, or early fall but the bark and roots can be harvested year round. Provided that with the roots you’re able to dig them out. Personally we were primarily after the roots for root beer but many people use the bark on smaller branches for tea as well. Sassafras has had a long history of over-harvest so please be considerate of the trees. Don’t completely defoliate or harvest all the roots or bark from any individual. I would say don’t take more than 5% even on larger trees. We were fortunate to find a tree that had just fallen and harvested the roots before they began to rot. I haven’t personally seen this but I’ve heard that Sassafras sometimes puts out a lot of smaller plants and you can pull some (if they’re in a tight space they won’t all survive anyway). Whatever you decide make sure you’re patch of trees will be able survive and reproduce. What wild edibles have you been harvesting? I’m not a doctor or botanist. Please use caution consuming any wild food. This blog contains affiliate links. If you purchase something we get a tiny percentage at no extra cost to you. It helps keep this blog up! One Response to "Foraging: Sassafras Roots"
My husband enjoys Sassafras tea compliments of the tree we have in our woods.